There are tons of ways to make this wreath but here is my take. I wanted simple, cheap in cost but not in look. 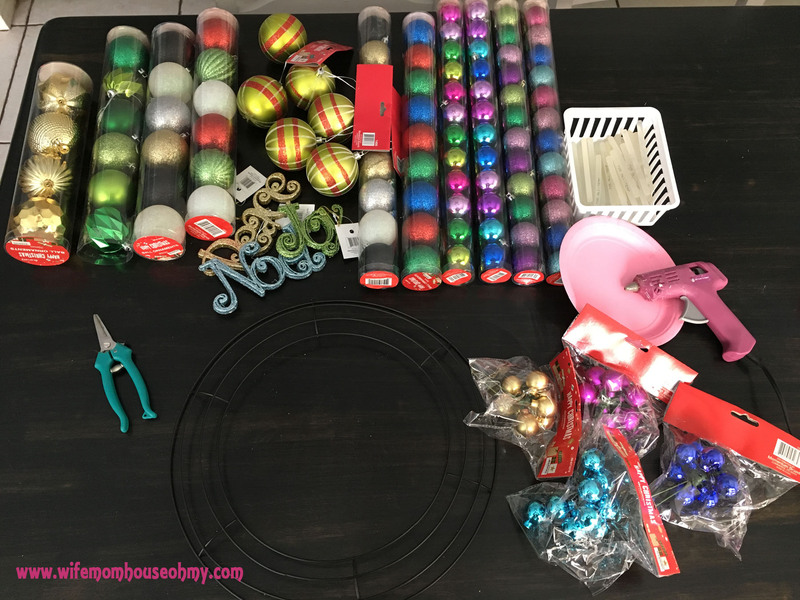 I got every single item from either the DollarTree or the 99 Cent Store. Seriously! Even the wire wreath base I used – $1 from good ole’ DollarTree! It did take some time but that was offset by the cost savings! 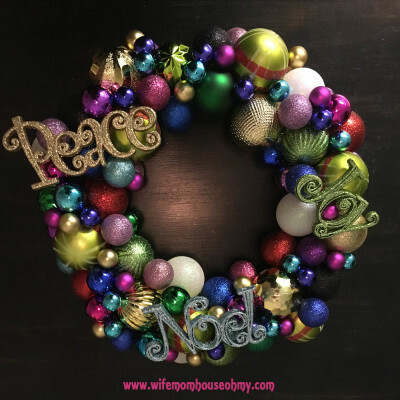 And in the end I adore it and it is the perfect entrance to the rest of my Chrismtas décor this year! 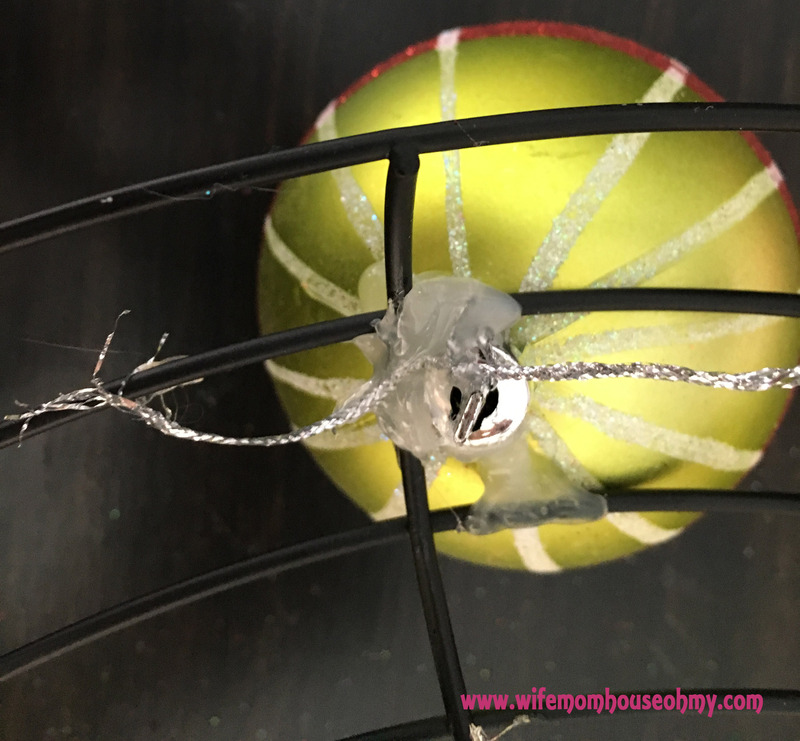 I promise, this is a really simple DIY project. Honest! 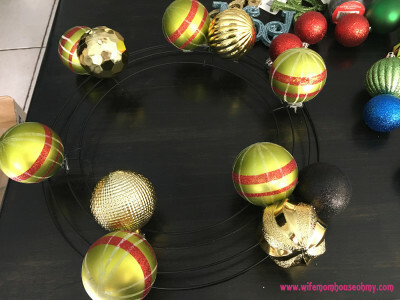 I started with the wire base and the 6 large green patterned ornaments. I tied the ornaments onto the six spokes of the wire wreath in the center using the silver ties that came with the ornaments. Then I glued the ties to prevent unraveling and I glued the ornaments to the wire wreath. I let these sit and dry until they were solid. 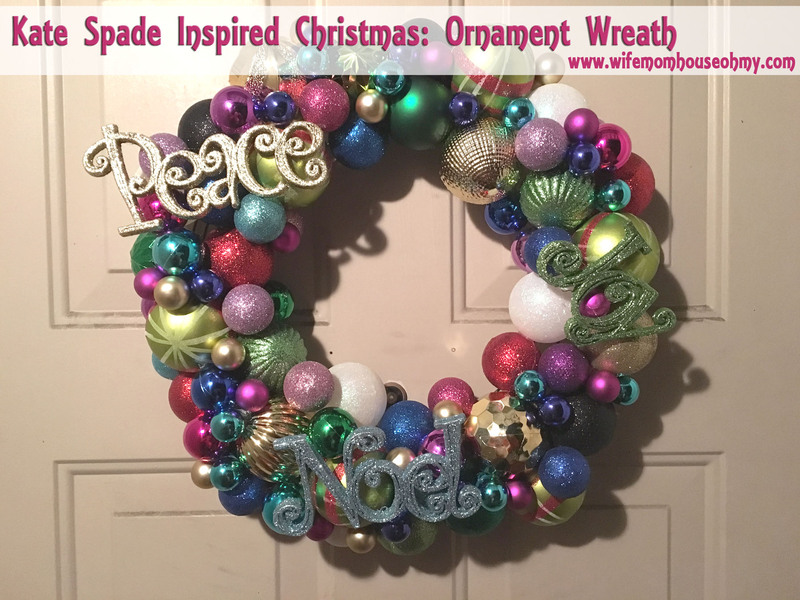 Then, I kept adding ornaments to the wreath, gluing them to the wreath and the ornaments. 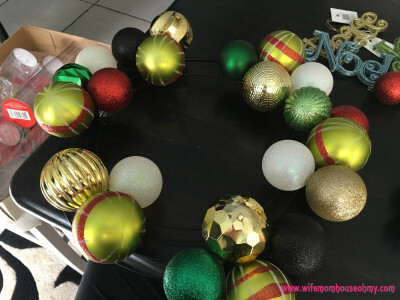 I started first with the large ornaments, then filled it in going down in size. Ultimately, I used four sizes of ornaments. Its kind of like the old story of the jar with the golf balls, marbles, rice and sand. You start with golf balls in the jar, then you add the marbles which fill in the empty space, then the rice which fills in the further empty space and lastly the sand which fills in the remaining holes. Same with the ornaments! Lastly, I wanted something a little different from other wreaths that I had seen, so I added color coordinated word ornaments in Peace, Joy and Noel. I figured out the placement before I finished adding the ornaments. I wanted to make sure there was a flat-ish surface for the words to sit on. Then it was a matter of gluing them in place. 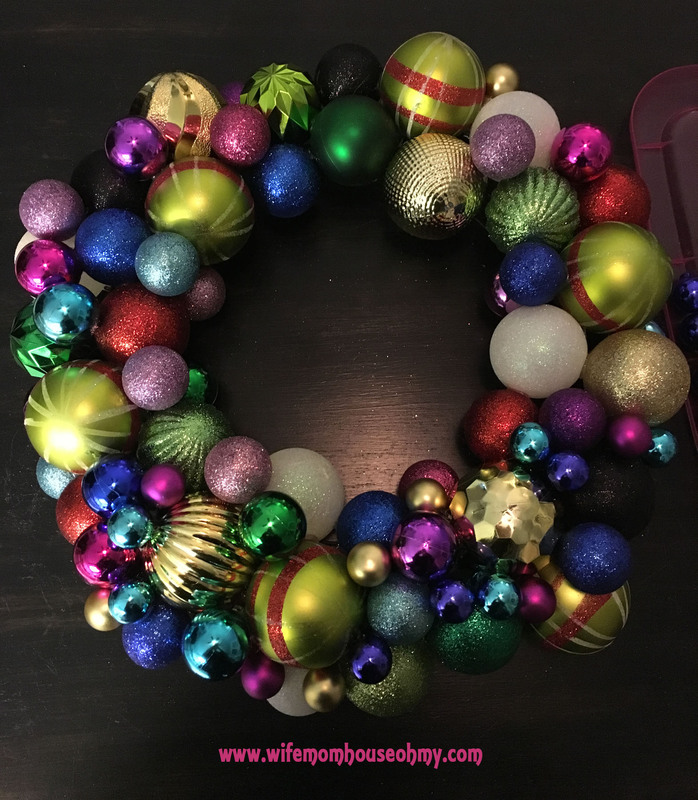 Hang it on the front door and it was ready to pop, shine and welcome all the holiday guests!